Information gathering and investigations has been the flavour of October, we have spent a number of hours on the internet and watching YouTube researching and learning about 3 point mounting systems, age is measured by hours and not miles/kilometres, etc. This was followed up by a visit to some friends who already own a small tractor and associated equipment. This proved very useful to see about the things I had learnt, further my knowledge on size and power, size in BHP and power required to drive the accessories. I also had the opportunity to try for myself, playing with their setup. I think had it not been a showery I could have spent many happy hours driving around cutting the grass and weeds. I like this, it’s fun, probably only because it’s something new. Let’s see if I still think the same in the years to come. Armed with all this new knowledge it was off to the first dealership to look at real tractors. Lucky enough one of the guys at the dealership spoke very good English. We looked at both new and used, used seem to be about half the price of new. 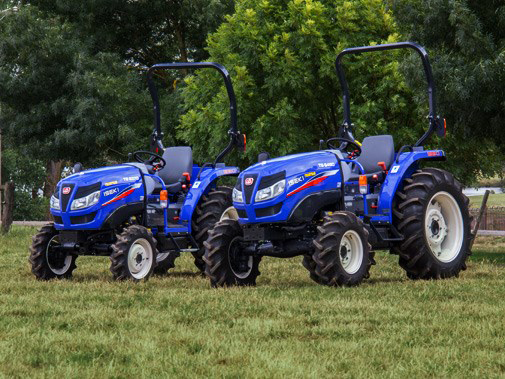 In Tractor terms, we understood that used was not as bad as in the world of cars and used Tractors can be very reliable. However, the stock of used tractors available was very limited, from what we could see they were all “very” used, maybe not for us at the moment. We think we need either to wait perhaps until they have some more stock or/and look around at other dealerships, or maybe we should consider new? Watch this blog for more news. This entry was posted in 2016, Project Portugal, Tractor. Bookmark the permalink.